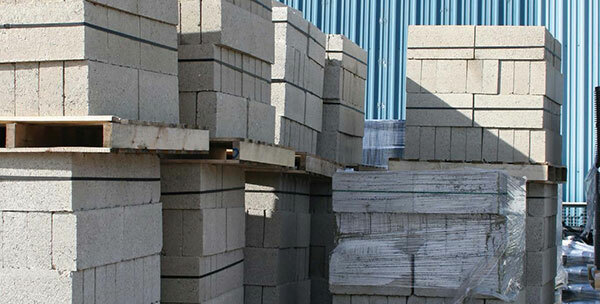 BS EN 771-3 which covers the BS requirements of all types of concrete block (and brick) units. Careful selection of mortar is essential. Extensive guidance is given in the BS 5628 suite of masonry design standards. The location of the block work is an important consideration, and as a guide stronger mortars will be required in high exposure situations. Similarly the design of walls employing high strength blocks, typically 10N/mm or greater, will result in enhanced load bearing capacity when designation (ii) or (i) mortar mixes are used. However, for the construction of most internal walls in inner leaves of cavity walls above ground, it is common practice to specify mortars no stronger than 1:1:6 cement, lime, sand composition or similar designation (iii) mix or general purpose to BS 5628-3. All types of aggregate block are suitable for use to the inner leaf of external cavity walls, or internal walls below ground. For the external leaf of external cavity walls, or solid external walls, dense, lightweight 7/mm² blocks or aggregate block with a density of at least 1500kg/m³ are all suitable. Where unusual ground conditions exist, or for more information contact your local JDP branch.